I’ve just finished reading Scot McKnight‘s book “the Blue Parakeet” (sub titled: “Rethinking How You Read the Bible”). It was a timely read for me. It addresses several topics but two were of particular interest to me – what is our relationship with the Bible and what about those difficult passages that don’t seem to fit in with our current practices (Scot calls the latter Blue Parakeets for reasons he explains in chapter 2) particularly about women teaching adult men? On the first one it was good to read “God does not equal the Bible” (pg. 88) . I knew that of course but it is funny how many evangelicals don’t seem to. Another good phrase is on page 91: “God gave the Bible not so we can know it but so we can know and love God through it.” It is good to be reminded of these things. Seeing eye to eye with Scot on these issues helped give me confidence about his views on “Blue Parakeets”. Before I read the book I had been going in depth through an issue that bothered me in the bible. It was the passage in Acts 15:20 where James recommends that Gentiles follow certain laws (abstain from the meat of strangled animals and from blood) which Paul, for one, and I and many other Christians ignore these days. 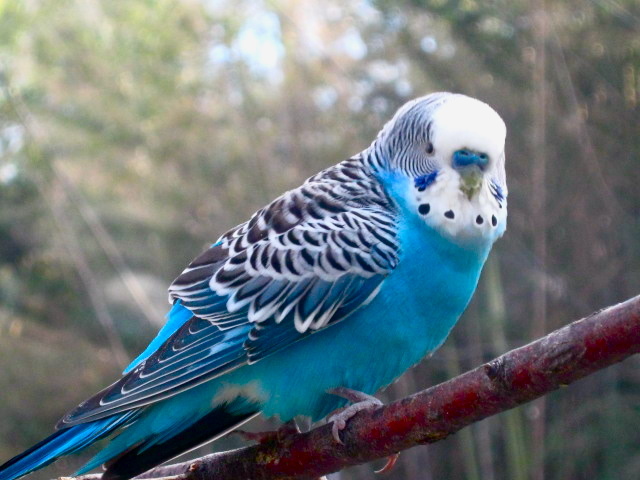 Like all Blue Parakeets (difficult issues) in the Scripture there is an answer that is satisfying to the mind in relationship with Christ (we have the mind of Christ – 1 Cor. 2:16) and for this issue I was satisfied after studying it in depth for about a week. These commands fall under the general command to love your neighbour as yourself, or more specifically, not to cause your Jewish Christian neighbour (c.f. Romans 14, 1 Cor. 8) to stumble. Nowadays very few of us live near Messianic Jews and, with the understanding we and they have of the relationship between the Law and our relationship with Christ, they would probably not be stumbled by non-Jewish believer’s eating rare meat at least in Ireland. Scot’s says about this and other difficult passages in the Bible that no matter who you are, you do pick and choose (or adopt and adapt) when it comes to interpreting them. Of course this particularly applies to the Old Testament but it is also true about the New Testament. No where is this more clear than in relation to the current controversies in evangelical circles about women teachers. It was refreshing for me to read someone finally addressing comprehensively the infamous “silencing” passages of Paul in 1 Cor. 14: 34-35 and particularly 1 Tim. 2:11-15. In reality I can’t help but think that Scot’s main reason for writing the book was to address this issue. He addresses it in the context of rethinking how we read the bible but it is the main subject of the book. He dedicates the book to someone he thinks was not given the opportunities to minister that she should have gotten and he spends over a third of the book directly addressing the issue of the role of women in the Bible and Church. Of course I liked his arguments in favour of allowing women to teach adult men. They made a lot of sense. Also the mind of Christ, that I like to think I share, witnesses within me that of course qualified anointed women, like qualified anointed men, should be permitted to teach adult men. The admonitions of Paul, like those of James, applied to the particular circumstances in which they were written. That was then and this is now. "Professor F. F. Bruce, perhaps the most widely known evangelical scholar of the previous generation and a specialist on Paul, had invited our family to his home.... During a break... I asked Professor Bruce a question that I had stored up for him (and I repeat our conversation from memory):  "Professor Bruce, what do you think of women's ordination?" "I don't think the New Testament talks about ordination," he replied. "What about the silencing passages of Paul on women?" I asked. "I think Paul would roll over in his grave if he knew we were turning his letters into torah." Wow! I thought. That's a good point to think about. Thereupon I asked a question that he answered in such a way that it reshaped my thinking:  "What do you think then about women in church ministries?" Professor Bruce's answer was as Pauline as Paul was:  "I'm for whatever God's Spirit grants women gifts to do." So am I. Let the blue parakeets sing!" Having the mind of the Spirit is the crucial thing for individuals and churches always. The Bible was never meant to be a book of rules. It is God’s story written for those who have the mind of Christ. Unless you are born again you cannot see the Kingdom of God – and really there is little point in reading the Scriptures for you. It will only tie you up in knots, or if you are like I was before I was born again, bore you to tears. But if you are born again, it is a joy to hear the Spirit speak His love story and satisfy our mind together as we read, hear it preached and discover and love God more through the Bible. I want every women called of God to preach and teach as He leads them. For there is no difference, in Christ there is neither male nor female, we are all one in Christ Jesus. And I think I have the mind of Christ in this matter (as Paul might say). I think the key thing is the Anointing. I remember listening to Joyce Meyer years ago. Joyce is definitely anointed in the Holy Ghost. She said that the more she submits to her husband the more the Lord blesses her ministry.